I’d have wished you a happy new year last week, but my family and I were down for the count ringing in the new year with an icky virus and ear infections – YAY! So I’m extending these wishes to you for 2019 now. May you have a happy new year, and let’s make this year a great one for the causes we support. What causes will you be supporting in 2019? 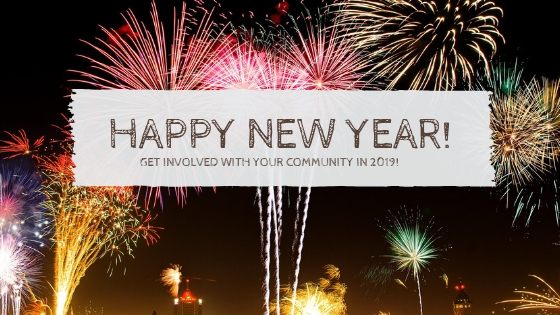 How will you help your community this year? I’m looking into running a fundraiser based on the number of miles I run to help rebuild the community of Paradise, California following the Camp Fire. I’ll be posting later this week about how you can help recovery efforts in Northern California.